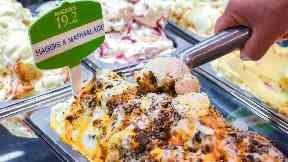 An ice cream parlour is serving up haggis and marmalade ice cream for Burns night. 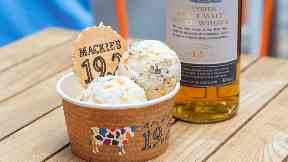 The handcrafted speciality recipe - which has been made on the Mackie's Aberdeenshire farm - will be available to curious ice cream fans all weekend at Mackie's 19.2 parlour in Aberdeen. The ice cream has been made with Scotland's Hall's haggis and has orange marmalade swirled through the mix. 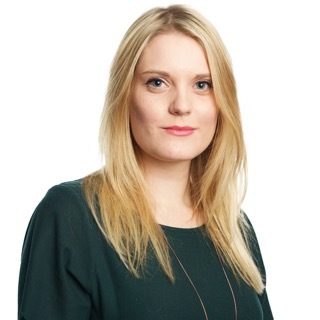 Yvette Harrison, parlour manager at Mackie's 19.2, said: "While marmalade is not a traditional accompaniment for haggis - we added a ripple to help make this Scottish delicacy a little tastier when served cold in ice cream. "And of course a nip of whisky can also be drizzled over the top to raise a cone to the bard!" The concoction was first created to mark the Bard's birthday last year, and proved such a hit that bosses decided to bring it back. "Since last year's limited edition batch, we've had people visit the parlour specifically to try the flavour," she added. "So this weekend is the perfect opportunity for those who didn't get the chance the first time round to satisfy their curiosity - and their taste buds!" On Friday, piper Robert Reid from Deeside Caledonia Pipe Band piped the haggis ice cream in to the parlour situated at Marischal Square. In celebration of Burns Night, customers at 19.2 will be given free samples of the experimental dessert - and those who play a tune on the bagpipes will be able to enjoy any free scoop of their choice.